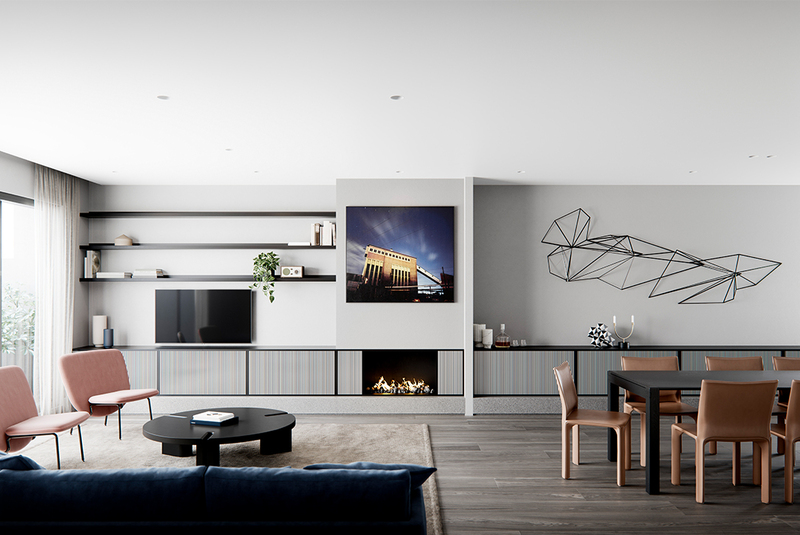 Steeped in history and indicative of the changing face of inner city Richmond, Glassworks by Studio Tate comprises nine unique townhouses informed by their location on the site of a historic warehouse. 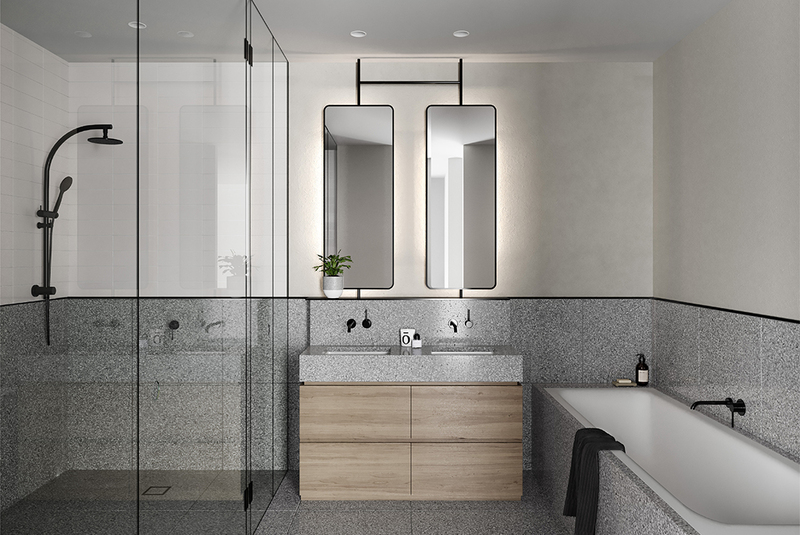 Taking cues from the surrounding industrial neighbourhood, Studio Tate devised a largely raw aesthetic, embracing heritage detailing whilst incorporating modern amenity and an intelligent use of space. 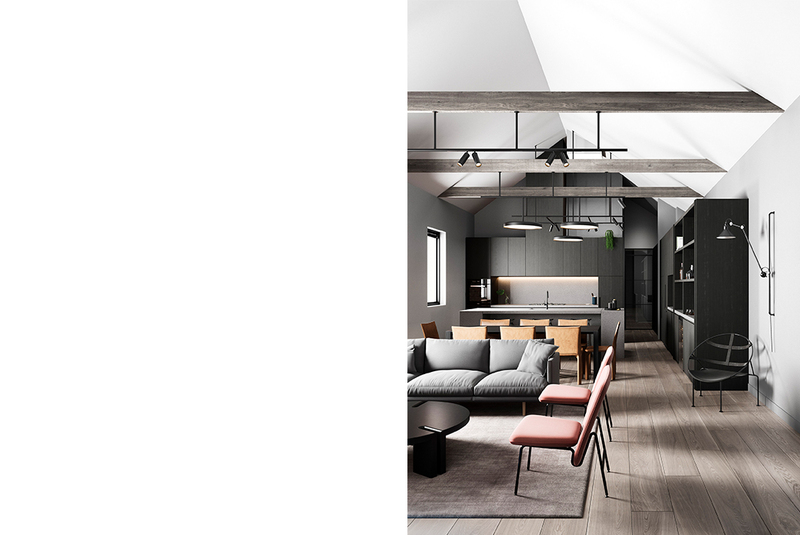 The longest townhouse, located in an original building with a heritage overlay, offers striking four metre ceilings and exposed trusses – its original red brick running the length of Glassworks Street. 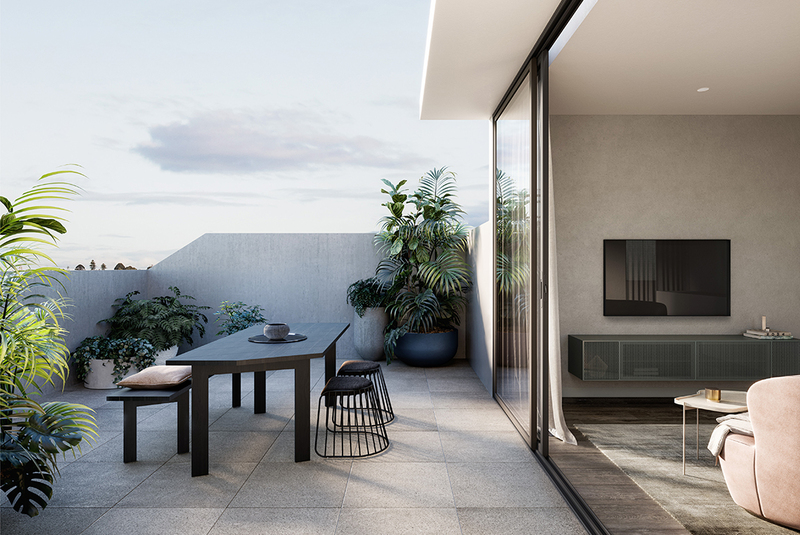 Working with MOS Architects, we developed a contemporary structural addition of eight new three-story townhouses, with beautiful city views enjoyed via generous rooftop terraces. 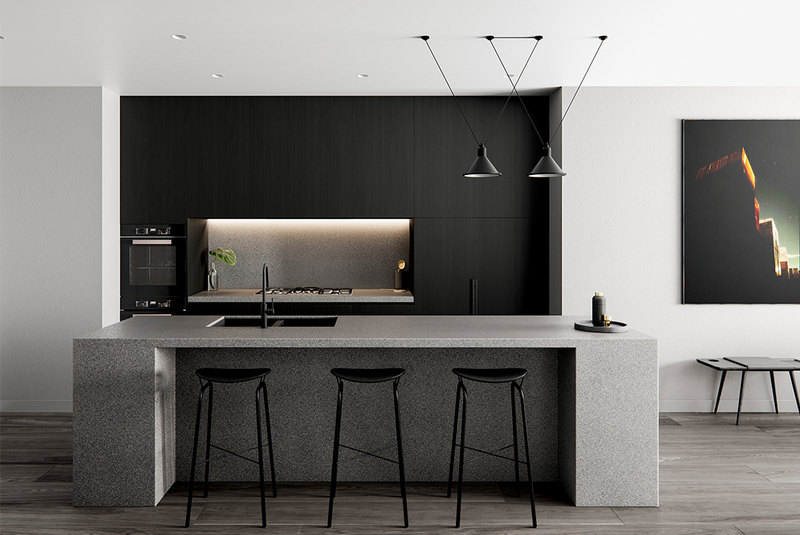 Inside a sophisticated materials palette complements the site’s historic bones with dark timber joinery, exposed brick, terrazzo kitchen island benches and bathrooms, and integrated appliances and storage. 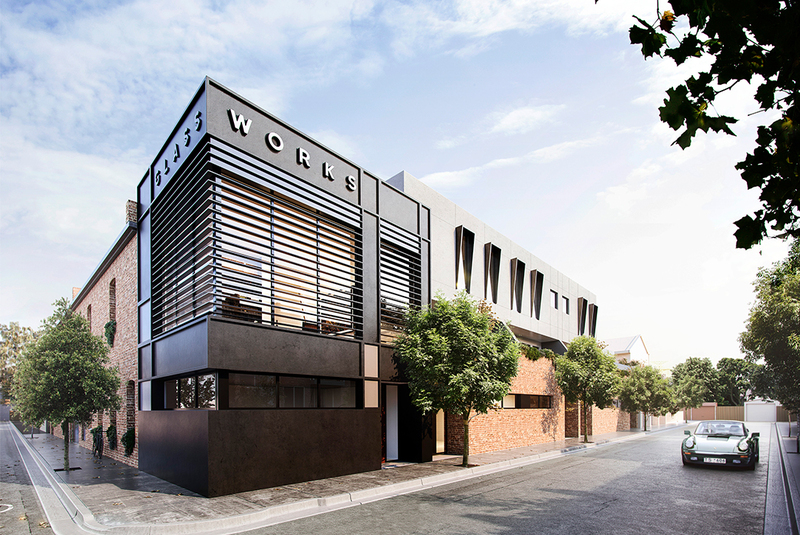 The townhouses provide a unique balance between the industrial and the residential for utterly contemporary living with leafy city views.